AS THE WORK WEEK ends in Shanghai, a group of divers prepares to journey 400 kilometres southwest to Qiandao Lake (千岛湖), meaning “Lake of 1,000 islands”, in Zhejiang Province, China – for an adventure like no other. 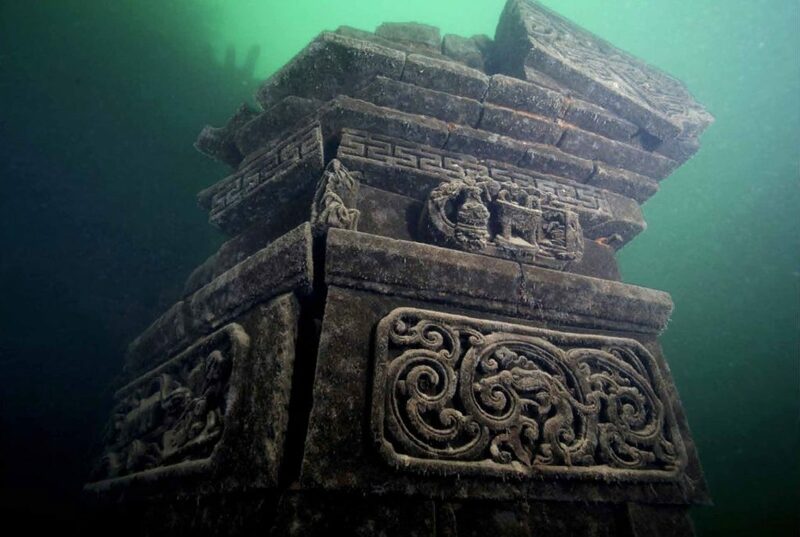 The mysterious lake was formed 60 years ago, in September 1959, when the Xin’an River was dammed to create a hydroelectric station. 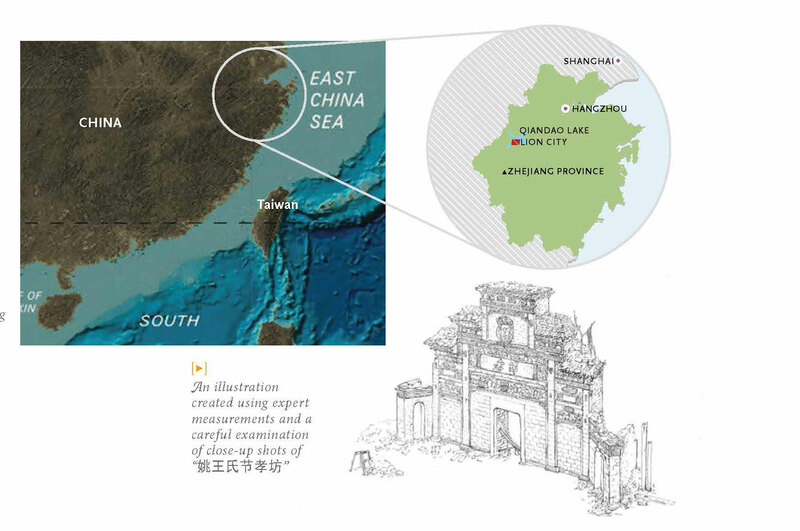 As a result, the Xin’an reservoir flooded a grand total of two counties, three towns, more than a thousand villages and the surrounding valley that together, played home to 300,000 people. Among the major two counties, there is one – officially named Sui An County (遂安城县) – that dates back to 1,800 years old ago. Later, it adopted the alternative name Lion City (狮城). 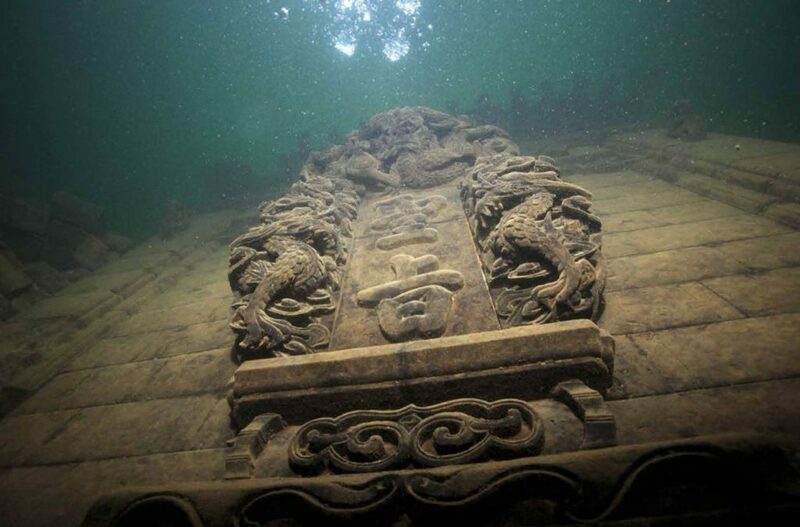 Fascinatingly, research divers discovered after extensive exploration (300 dives for myself) there that the submerged Lion City was constructed during the Han dynasty, way back in AD 208. It lay at the foot of Wu Shi Mountain (五狮山), but went beneath the surface with everything else positioned up to 108 metres above sea level then. So far, we have ventured down to as deep as 32 metres. While there is no current in the lake, the muddy, silty bottom means that visibility is far from ideal. At the surface and down to mid-depths of 16 to18 metres, visibility stands at 6 to 8 metres, but this quickly plummets to just 0.5 to 3 metres near the bottom. Temperatures at the greatest depths are a constant 10 to 12°C, which demands a good dry suit. In recent years, a bright red line was installed as a means to guide recreational dives over the city’s external wall, towards one of its 16 memorial arches or pai fang (known locally as 牌坊), built in olden times by the order of the royal family to recognise certain exceptional talents or commemorate traditional Chinese values. These structures of various forms date back to the Ming and Qing dynasty, with some being composed by brick and others, stone and wood. The most popular pai fang, which is made of brick, was erected in 1777, in accordance to Emperor Qianlong’s intention of celebrating a civilian woman’s chastity and piety (节 denotes purity and 孝represents filial obedience) – hence its name 姚王氏节孝坊. With each pai fang boasting four mind-blowing, intricate carvings depicting lions, expert divers have sighted eight of such beauties within two uncovered memorial arches. On our exploratory dives around the city we have discovered many streets and buildings that warrant further investigation. There are also a number of ground wells and large administration buildings close to the riverbed running through the submerged city. 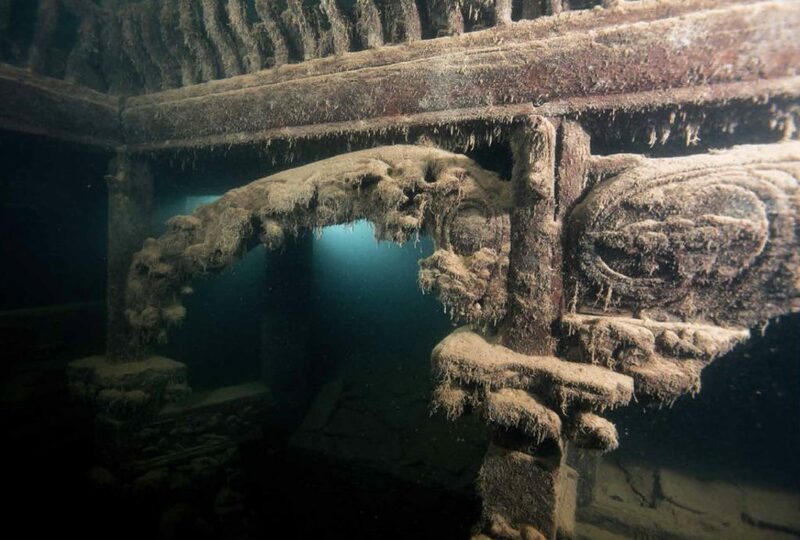 The darkness and the cold are not the only factors limiting dive time; Another significant hurdle to contend with is the lake environment itself, which challenges the highly experienced diver to be ready to ascend and descend at any point. Read the rest of this article in 2014 Issue 4 Volume 133 of Asian Diver magazine by subscribing here or check out all of our publications here.